Lynxspring and SkyFoundry announced today a new Onyxx® SkySpark® Edge Analytics solution which embeds SkyFoundry’s SkySpark® Everywhere™ analytics software in the Lynxspring Onyxx® hardware platform, creating an ideal solution for processing, analyzing and presenting IoT data from equipment systems in facilities of all types. Lynxspring, Inc. (http://www.lynxspring.com), a premier developer and provider of open, IP-control solutions for building automation, energy management, and edge-to-enterprise integration, and SkyFoundry, LLC (http://www.skyfoundry.com), a leading developer of analytics software for use with equipment systems and facilities of all types, announced today a new Onyxx® SkySpark® Edge Analytics solution which embeds SkyFoundry’s SkySpark® Everywhere™ analytics software in the Lynxspring Onyxx® hardware platform. 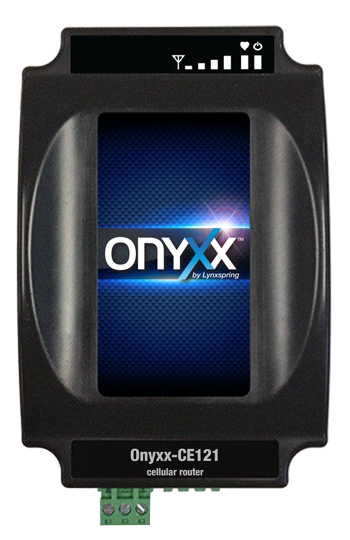 Lynxspring’s Onyxx® hardware platform is designed to bring advanced IoT software applications to the “edge”. The Onyxx® embedded edge family of modular, open hardware, bridges and gateways support multiple activities across key market segments, and edge-to-enterprise and Cloud applications. By embedding SkySpark® Analytics on the Onyxx® hardware platform, advanced analytics can be processed locally at the device-level, providing real-time intelligence without requiring data be sent to the Cloud for analysis. The Onyxx® SkySpark® Edge Analytics solution supports data access via BACnet IP, Modbus TCP, Obix, Project Haystack, SNMP, Sedona, OPC UA, MQTT, SQL, CSV import and a REST API to enable connection to the vast majority of equipment and control systems found in buildings. The software functions required to process, analyze and present IoT data, need to reside at every level of the architecture from the edge to the Cloud. The combination of the Onyxx® hardware platform with SkySpark® Everywhere™ analytics software, makes Onyxx® SkySpark® Edge Analytics an ideal solution for equipment systems and facilities of all types. This is the first product to be released following the OEM Agreement between SkyFoundry and Lynxspring announced in late 2017. Lynxspring and SkyFoundry will be demonstrating the new Onyxx SkySpark® Edge Analytics solution during AHR Expo 2018 in the Lynxspring Booth #4149, South Hall in the Building Automation and Control Showcase. More information about all of Lynxspring’s technology, products and services is available at http://www.lynxspring.com. More information about SkyFoundry and SkySpark® Everywhere™ is available at http://www.skyfoundry.com. Embracing open software and hardware platforms, Lynxspring develops, manufactures and distributes edge-to-enterprise solutions and IoT technology, to create more intelligent buildings, better energy management, equipment control and specialty machine-to-machine applications. Lynxspring technologies and solutions are simplifying connectivity, integration, interoperability and data access and analysis from the edge to the enterprise. For more information about Lynxspring, visit http://www.lynxspring.com. SkyFoundry provides software solutions to create value from the data produced by the Internet of Things. SkySpark® Analytics software is an open, extensible platform enabling data from a wide range of sources to be automatically collected, visualized, and analyzed, to identify opportunities for operational improvements and cost reduction. More information is available at http://www.skyfoundry.com. Lynxspring, Inc. SkyFoundry, LLC Lynxspring Onyxx® PlatformLynxspring’s Onyxx® hardware platform is an embedded edge family of modular, open hardware, bridges and gateways supporting multiple activities across key market segments, and edge-to-enterprise and Cloud applications. 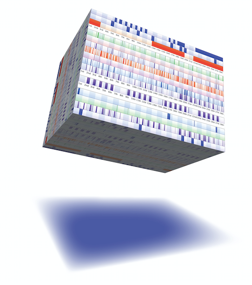 SkySpark® Everywhere™SkySpark® Everywhere™ enables the full capabilities of SkySpark® Analytics software be deployed in a distributed architecture where multiple nodes work together to perform analytics at the edge.